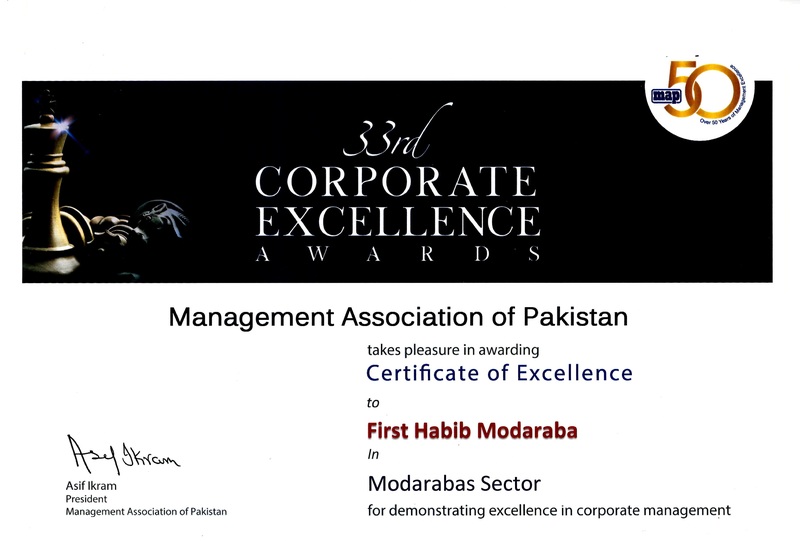 Management Association of Pakistan (MAP) has played a pivotal role for overall promotion of corporate entities and committed to excellence in management through human capital development, creating awareness and recognizing best management practices to enhancing competitiveness. The MAP was formed in 1964 to meet the growing demand for managerial talent within the country, consequent to the rapid increase in trade and businesses within the country. 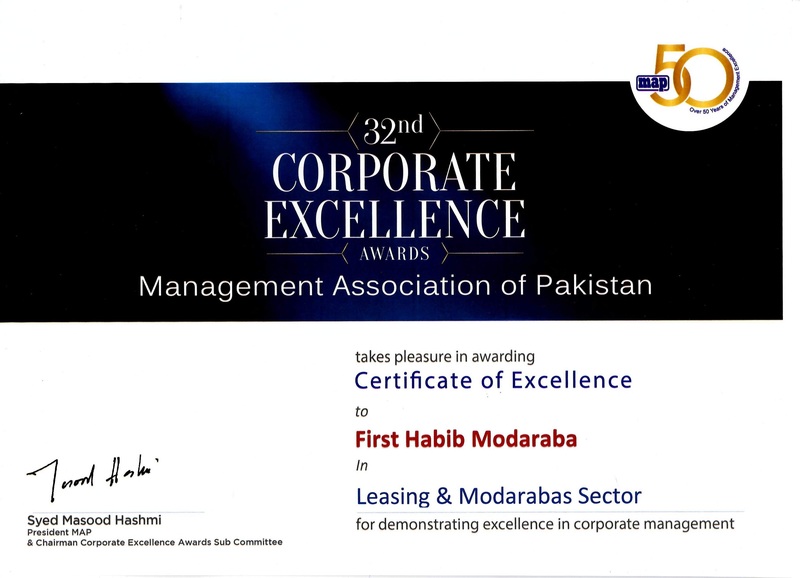 Since 1982, MAP holds pride in recognizing and rewarding the best managed companies in Pakistan by instituting the Corporate Excellence Awards. The sole aim of award to recognizes and honor companies showing outstanding performance and demonstrating progress and enlightened management practices. Award is open to any participant including unlisted public companies and not-for-profit organizations which meets MAP evaluation criteria. 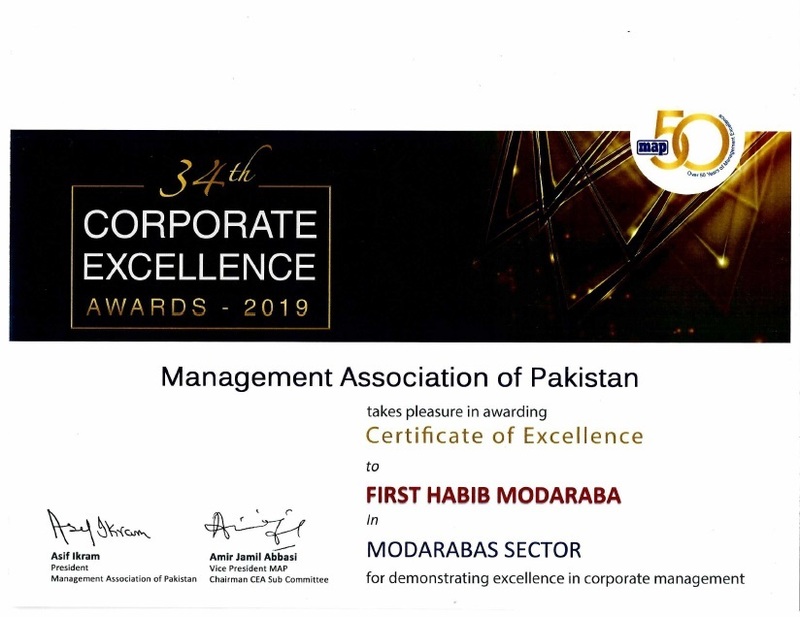 Alhamdulillah, First Habib Modaraba (FHM) is continuously meeting above criteria of Corporate Excellence award and secured several awards from MAP since last several years. 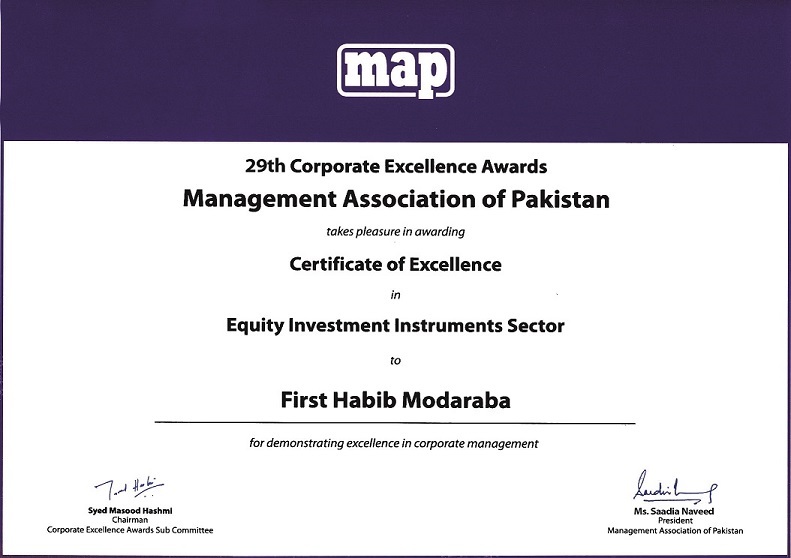 So far FHM has received nine awards in last nine years within financial category. 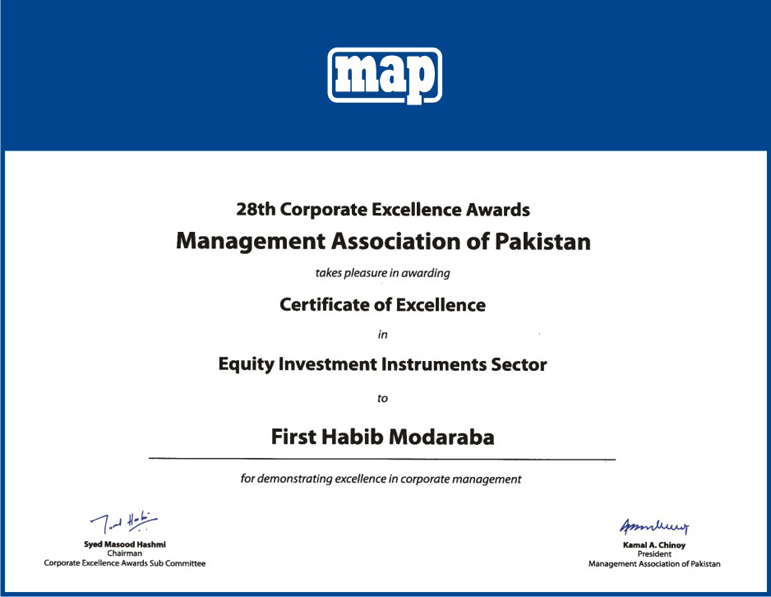 The recognition of Corporate Excellence Award from MAP acknowledges the strong commitment of FHM for promotion of best business practices, good governance and corporate excellence within FHM while maintaining financial discipline. 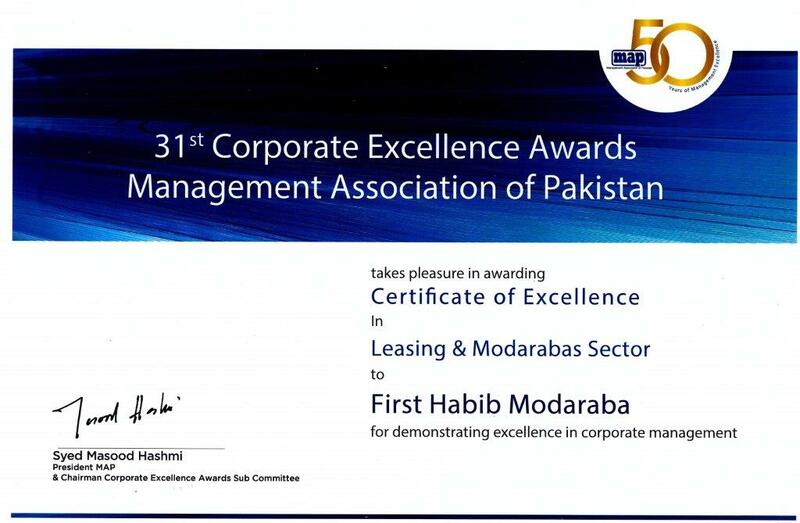 FHM is only Modaraba within the Modaraba sector who has continuously recognizing by the MAP for said awards.